Today the death was announced of President Lansana Conte of Guinea-Conakry. President Conte, 74, died on Monday night after a protracted illness. He had ruled the country with an iron fist since 1984. The news of his death came as no surprise. When I heard it this morning, my first reaction was: ‘Finally’. President Conte was known to be seriously ill and the last five years it was often rumoured that he had died. His declining health led to numerous speculations as to who in fact was in charge in the country. With his death, one of black Africa’s last dinosaur-presidents disappeared. Now only El Hadj Omar Bongo of the tiny republic of Gabon in Central Africa remains – who has the dubious honor to be the world’s longest serving president (since 1967). I had to think of another country in the sub-region, Ivory Coast. Its president for over 30 years, President Houphouët-Boigny, died in 1993. Like Conte, he had monopolized power and kept possible successors, hence competitors at a distance. Soon after Houphouët-Boigny’s death the country entered a period of political turmoil, ultimately leading to a civil war (2002-2007/08). Nowadays, Ivory Coast may have left the civil war behind, but the country is de facto still divided in two regions, the North and the South, with 8,000 UN peacekeepers to ensure that presidential elections can be held (postponed till early 2009). Two other countries in the sub-region, Sierra Leone and Liberia, have also had their share of political strife and violence. Sierra Leone’s 10-year civil war ended in 2002, the UN peacekeepers departed in December 2005 after a five-year mission to restore order. Liberia’s 14-year civil war ended with the exile of warlord-president Charles Taylor in 2003. But the peace is very fragile, in both countries, with over 15,000 UN peacekeepers in Liberia (UNMIL). If the death of President Lansana Conte would spark a civil war in Guinea, it is certain to have a spill-over effect in the region. 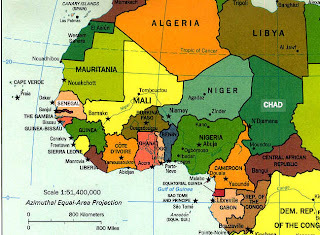 Guinea is politically very divided – along ethnic lines – and the major tribes all have ‘brothers and sisters’ in neighbouring countries. The two most important ethnic groups are the Mandingo and the Fula. In Liberia, former Mandingo warlord Alhadji Kromah is known to have strong ties in Guinea, where he owns a house in Conakry. Mandingo and Fula people live in virtually each country of the sub-region, in Senegal, the Gambia, Guinea Bissau, Sierra Leone, Liberia, Ivory Coast, and Mali. In the latter country, the actual president, Amadou Toumani Toure (‘ATT’), has a Fula origin (Peulh in French), whereas one of his main contenders, Ibrahim Boubacar Keita (‘IBK’) has a Malinke (Mandingo) background. A few hours after Aboubacar Somaré, the impopular President of the National Assembly of the Republic of Guinea announced the death of president Lansana Conte and asked to be sworn in as the new president, in conformity with the country’s constitution, a statement was read on state radio and televison, announcing a military coup d’état. The statement was read by Captain Moussa Dadis Camara, on behalf of a group called the National Council for Development and Democracy. The government and the institutions of the Republic had been dissolved, the constitution suspended, all political activity forbidden. According to Captain Camara, the coup was necessary due to Guinea’s rampant poverty and corruption, and because the existing institutions were incapable of resolving the crises which have been confronting the country. When hearing this, I remembered April 12, 1980. Then Master-Sergeant Samuel Kanyon Doe used almost exactly the same words when announcing Liberia’s first military coup d’état. Captain Camara said that someone from the military would become President, while a civilian would be appointed as Prime Minister as the head of a new government that would be ethnically balanced. However, a few hours after the announcement of the military coup d’état Prime Minister Ahmed Soumare declared that his government was still in power. Chaos and confusion seem to be the next scenario for Guinea. A violent struggle for power in Guinea risks to have serious repercussions in the other countries of the sub-region, including Liberia. This entry was posted in Guinea Conakry, Liberia. Bookmark the permalink.